Did you know there are over 100 white paint colors on the market? No wonder we stand in front of the display of our favorite paint store and become overwhelmed at the sight of all of the choices. Of course, there really is no right answer for the “perfect white paint,” it’s all about which shade you love best. But, if you’re looking for somewhere to start, then you might want the advice of some DIY & Design Bloggers who have their own favorites. 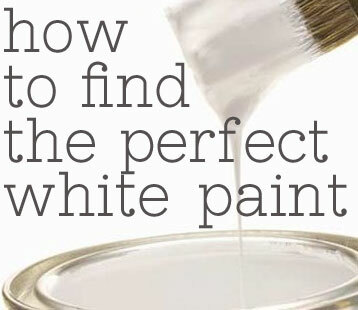 So let’s figure out how to find the perfect white paint. I looked at dozens of different shades when trying to pick the color for my office (which you will see this week!) I found it really interesting to actually see the color on walls of some bloggers I admire. Melissa from The Inspired Room loves Benjamin Moore’s White Dove. She’s used it in quite a few rooms, and in her post about white paint, she shares some great advice on picking paint. Want another glance at White Dove? Melissa at 320 Sycamore painted her kitchen with it, too. 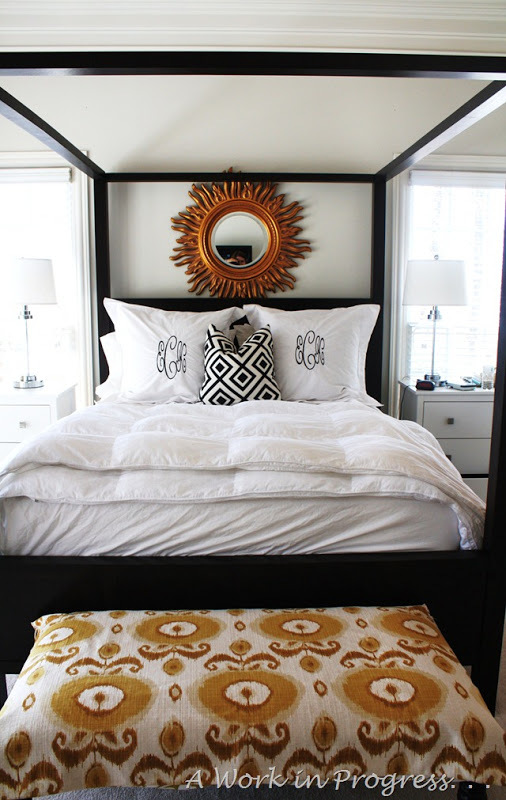 Emily A. Clark is also a white wall lover, and she used Shoji White in her bedroom. Isn’t it dreamy? And then there’s The Nester. Ya’ll know I adore her. Sigh. She’s all smitten with white paint, too – and her favorite shade is Benjamin Moore’s Simply White. Then there are those who look past the paint chips and find their own way. Like Stacy. 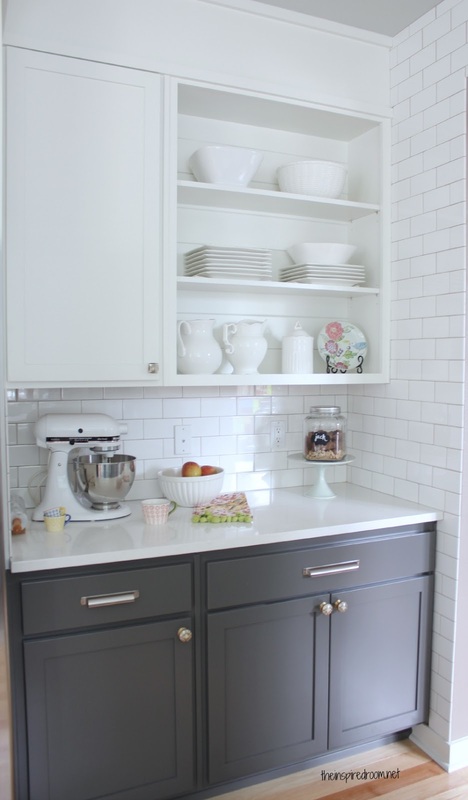 She loves Rustoleum’s Heirloom White, so she had her paint store match it and painted her cabinets. Ain’t she clever? If you still can’t find the right color, invent it! That’s what Lindsay at Makely Home did. She calls her color “Lindsay White” which is off the shelf base plus 1 oz. white pigment. 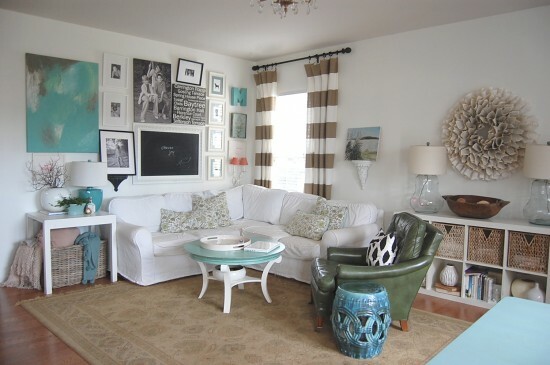 It makes an ultra bright white that looks amazing when paired with the bright colors in the rest of her home. So what’s the lesson here? You’ve got to try something to see if it will work. Each room is different. My living room has way more light than my kitchen. That’s why I used Glidden’s Crisp Linen in my living room, but I’ll be using a much brighter Pure White by Sherwin Williams in my kitchen. And, my office is even different from both of them – it’s Restoration Hardware’s The Right White. See, I even have different whites throughout one house. The moral? There is no perfect white. You just have to find what’s perfect for you. It does help to know if you want a cooler (blue based) white, or a creamy (yellow based) white. After you figure that out, just pick one and try it. If you’re not feeling it, then try again. Honestly, paint doesn’t have to be a life long commitment – it’s ok to date around until you find the perfect one. Or ones. Hopefully all the rooms above at least give you an idea of where to start. If you are ready to paint, then you’re going to need a roller. Right? 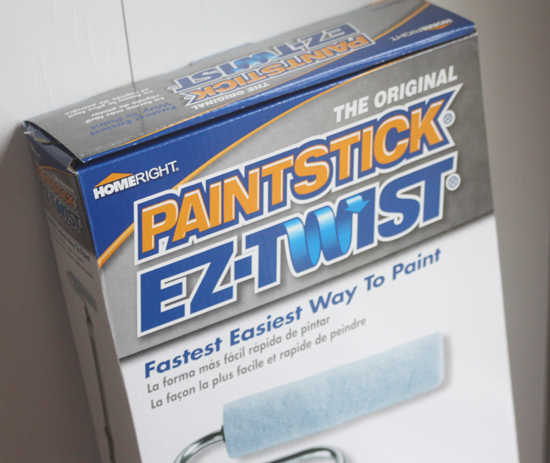 Three lucky folks are going to win a Paint Stick from HomeRight.com – woohoo! I used one a few weeks ago when painting my office – and I’ve gotta tell you, they rock! Want to learn more? You can see it on How to Paint a Room. To enter, leave a comment below telling me the next room you’re planning on painting. Want a bonus? Leave a 2nd comment and tell me your favorite white paint. Legal: HomeRight.com provided me with product for this post. US & Canada residents 18 & over only. Void where prohibited. Alternate entry by emailing your answer(s) to gina@theshabbycreekcottage.com. Giveaway ends Sunday, March 17th at midnight. Winners will be contacted via email. my living room has water spot damage from broken heating pipes; I’d like to paint it this spring/summer. I drive 30 miles, round trip, and cross two mountains just to get to Lowes so whatever paint they have is my “favorite”…at least, it’s the paint I use. I am painting my master bath over spring break so I would love to win this roller! I am also a big fan of White Dove and Simply White! I so want to paint my kitchen in the next few weeks and would love, love, love one of the rollers. I haven’t made a definite decision yet, but am leaning towards the Simply White. Thanks so much for the advice and this great give-a-way!! Right now my perfect white is “All White” by Farrow & Ball. I just finished my office, now I’m ready to start the living room…still thinking about the color. I need to paint my kitchen as my next paint job – it needs to be brighter and cheerier! Just having moved a year ago my whole home has gotten a redo. My poor bedroom twice, never liked the goldish yellow I first tried. That being said, I repainted my room a bright deep girlie pink. It sounds intense but is very elegant. Next I plan to put molding, in white with a black edge on the bottom, at the top of the walls. After that I’ll be tackling my furniture. Whew…busy year. My favorite white? Any white with a gloss or chalk paint. Depending on where it’s going. White’s mingle happily for the most part no matter the shade. Would love to paint my dining room this spring. My favorite is White Dove. Thanks for offering this giveaway. My next room to receive new paint will be my office. It is going to be white! We have vaulted ceilings in the majority of our home. I would love to have a VERY bright stark white on the cabinets in my kitchen. We are almost finished remodeling my mil’s little house, so it will probably be a bit before we start another project! But I am over the moon excited to get something completed around here. We are building a new home, and just finished our interior painting. Admittedly, I used colors rather than white, altho all our trim is white, inside and out. Outside trim is Benjamin Moore’s White Dove, and the inside trim and closets are Benjamin Moore’s Glacier White. First we tried what a paint man told us was his favorite, B. Moore’s Timid White, but it was too yellow for us. I don’t have a favorite white but need to choose one for my next project. Thanks for the chance to win a Paint Stick! I need to paint our dinning room, we painted it a dark maroon color prior to moving in and it’s the darkest room in the house!! It get’s no direct sunlight so it’s like a dark cave in there! Ok, to narrow down the next room I’d paint should be my bedroom. We have half the wallpaper border off and some holes patched. Yea, it needs to be next.But there is always the basement…but the bedroom is next, definitely the bedroom! As for my favorite white, I’m a simple girl and love to use valspar ultra white, right off the shelf! It’s bright abd crisp and I use the hi gloss for all the trim in my house. It’s so easy to wipe off the finger prints of all my kids and their friends. Love that! I need to paint my living room and entry way. I love BM Chantily Lace and White Dove. We are painting our kitchen starting this week. My favorite white is Heirloom White and I’m having trouble finding it. Thanks for the great giveaway! What room am I going to paint next? Well, actually, the whole house is on the list. Ha! I guess I need to get moving. Loved this post, BTW. I don’t have a favorite white just yet, but thanks to this post I have a place to start. My living room, I absolutely positively need to paint my living room to freshen up for spring. If I can get our eldest to cooperate, I’ll be painting his room in a few short weeks. Otherwise it will be our youngest’s room and the hallway into the house from the garage as it has no windows & is in desperate need. I usually make my own white — tinting based on the room or piece of furniture I am working on. Current white favorite is White Dove & the basic off the shelf white from Lowe’s. They just work for our house…..
Painting the baby room next!!! My next room to paint will be my new basement studio! The drywall just went up so I am absolutely thrilled to get his space finished! My go-to white for almost any project is Pearly Gates, from Behr. It’s creamy without being yellow, and goes with any color I’ve put next to it. I have it in semi-gloss on my kitchen cabinets and always get compliments on the color. I believe it is called muslin white… A fave of mine by Sherwin Williams. It’s at the top of my list, anyway! Our house is an open floor plan so when we paint one room, we will need to paint the kitchen, dining room, foyer, hall, laundry room & great room. We will probably just redo what we have which is a custom color from Sherwin Williams called Gaines Gold. Our baseboards & trim are a glossy white and I believe it’s called white white, also from Sherwin Williams. I need to paint my office again. There’s a red wall in here that just has to go! Time to spruce up my craft room with Dove White… lets get started! 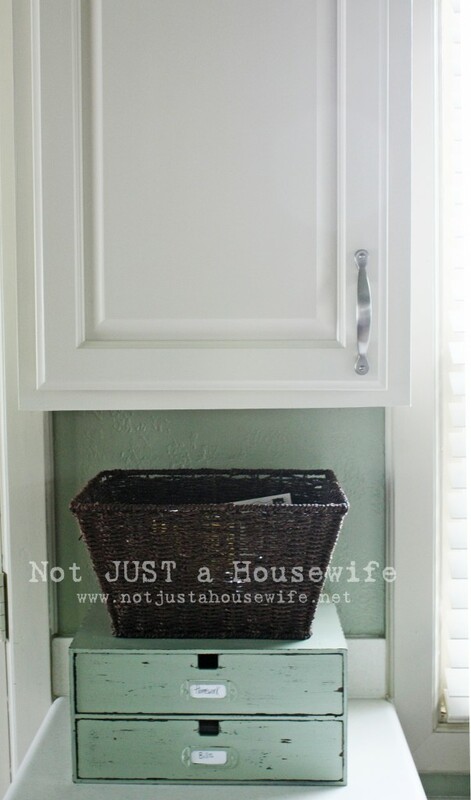 Kelly Moore Swiss Coffee – its the color of all my trim and will be my kitchen cabinets too! 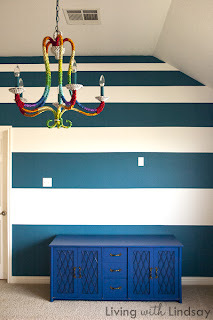 I desperately want to paint my bedroom! It is boring now! I’m painting my dining room! 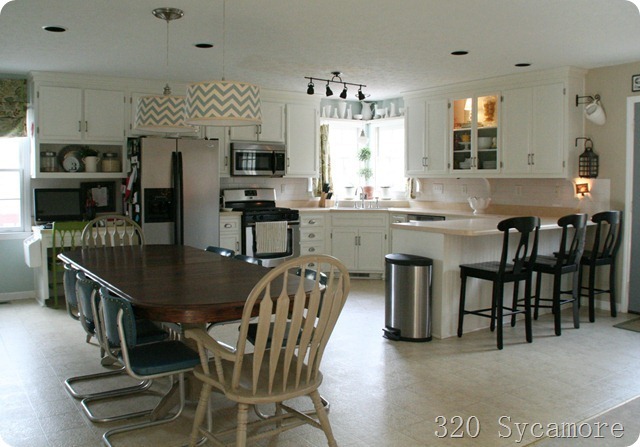 we just painted bead board kitchen walls with valspar signature Pale Ivory WV31002. with a Blue ceiling. Love, Love it! What a great giveaway! I’m painting my powder room today (currently waiting for some spackle to dry!). I’ve only used one white paint so far, and it was Behr’s Falling Snow. I used it to paint a dresser and also to cover some dated tile around my fireplace until I can replace it with something a little more glam. But (see post above! ), I’m going to use BM White Dove on the stripes I’m painting in the powder room. I am in the process of preparing two rooms for painting – Our Bathroom and Office. I Would Really LOVE to Try This Roller. I Am Using BEHR Premium Plus Ultra in “Ultra Pure White” – Pure, Paper White, Just the Way I Like My White, and, Great Coverage. Thank You For the 2nd Chance to Win! The first room I’m going to paint is the office in my new house (after we close). I’m going to go with a soft dove grey, it makes my white furniture and pink accents pop! I hope I win. We are starting to paint our new house and this would come in handy! My husband and I just bought our first home together and I will be painting the whole house once we close! This roller would be awesome to try out!! I was set on using BM White Dove but after reading your post today I may have to look at all the others just to make sure! I LOVE white! I have always painted my walls with white, tinted with a little green or mauve and the baseboards/trim painted with Benjamin Moore’s CLOUD WHITE. Every room of my present house is bathed with natural light, so, I will probably choose Behr’s FRAGRANT JASMINE OR CLEAR MOON. Before I choose a paint colour, I always ask which colours are being added to create the name of the colour. I will always choose CLOUD WHITE for the baseboards/trim-only because it always looks wonderful and it is one less decision. I am intrigued with the PAINTSTICK-to think that it would make the job of painting easier…I do have a few rooms to paint. Gina, thank you for all of the wonderful inspiration and information that you provide on your blog. Also, we have white trim in our house… We used “Ultra White” by Behr. Love it with our gray walls! I’m a big fan of Alabaster by sherwin williams for my white . I love BM Simply White! and I’m painting all my baseboards – except it’s in my own custom white. I bought Behr’s Almond Cream and it was too white against my walls (BM Lenox Tan & BM Stone House), so I added a cup of the Lenox Tan, mixed it all up and it’s a perfect contrast. We are adding a bedroom, bathroom, sitting room and closet to our attic, so I will have many rooms to paint! The bathroom will probably be the first one done. My favorite white for trim is Mountain Peak White (BM). We just bought a fixer upper and everything had to be painted..next room is the hallway. Fave white is Benjamin Moore Dove White also!! Our next project is the kitchen in our mobile home. It is near the shore and we are hoping to have that seaside feel. I’m thinking of light grey walls and white cabinets. So far Valspar Ultra White has been my go-to white for cabinets but now I think I’ll take a look at the Benj. Moore Dove White and Chantilly Lace to see what they look like next to the grey. Thanks for the post and the giveaway chance. I am going to be painting my hall bathroom! My guestroom! My husband and I just built some barn doors for the closet and I’m just loving them! But I want to repaint the entire room which is waaaay too much of a yellow-white. I would love to brighten it up with a whiter, cleaner shade of white. And that EZ Twist would make my job so much easier! 🙂 Thanks for this great giveaway, Gina!! I have been craving seeing White Dove in my home and would definitely love to see it on my walls! I was just thinking that I need to paint my kitchen white. This is the perfect post for me! We just bought our forever home last summer and it hasn’t been painted in 44 years! I have painted the kitchen, living room, craft and guest room… I have a long way to go however! My next area is the front foyer…but it has 2 layers of 60’s wallpaper to be removed first and it’s almost 2 stories up! I would so love to win this roller, it looks GREAT!! I love warm whites almost into a creamy color, my last white was called Cream Mist by Glidden and my painting I’m doing in the foyer with is Glidden, Creamy Parchment…love it against my Moonlight Sand walls in the living room that the foyer leads up to. Thanks for the 2nd chance!! I need to paint the guest bedroom. The next room I need to paint is my living room/dining room.. For some reason it hasn’t been painted in 10 years! I am painting my sons’ room next week when they are away. It will be a surprise for them so I am pretty excited. When I am done with their room, I will be painting the master bedroom and bathroom. I am really excited about that since we have lived here 10 years and done nothing with that room. I love Sherwin Williams Creamy. We are painting our family room and kitchen. We are hoping to repaint our dark dank bedroom and I love that Shogi White. White is awesome .looking so nice descent and peaceful. I like white color very much I am planing to paint my bedroom will try this paint for my room. I am going to paint the upstairs bathroom next. Just got finished with the one downstairs. I don’t have a favorite yet, but I think it’s going to be Rustoleum’s Heirloom White. Because that’s the one I’m going to try. We use the Behr primer and paint. I don’t have a favorite white, but I am on the lookout because we’re going to painting the trim throughout the house a white color. my next room to paint is one of our 5 bedrooms (one has already been painted). It will likely be my younger son’s room and it will be a gray color. I’ve got several painting projects planned-this roller would be great! My kitchen is next! Painting the cabinets with Antique White by Behr Ultra. The walls will probably go a khaki color or maybe a sage green – waiting to see how those shades look with the cabinets once they are finished! I love the creamy shade of Antique White by Behr! At this moment I appreciate the whites that lean to the gray side. Great advice here, pinning it for future reference. ‘m a huge fan of Sherwin-Williams crushed ice. It’s a softer white that goes with everything. My next project is my hallway/steps upstairs. I’m dreading it, wallpaper must be removed first 🙁 my new fav white is a very creamy white called Swiss coffee by Behr. I painted my guest room this color and love it. Valspar “Statuesque”! I love it for painting furniture. I haven’t been able to locate a paint chip for it in a while but they have always been able to look it up on their computer at Lowes to mix it for me. We used Decorator’s white for our kitchen cabinets. LOve. I am going to paint my bedroom next! Just have to get a LOT of wallpaper off first! Spring/summer project:) Thanks! I don’t really have a favorite white paint yet but the one we got from Menards for our bathroom paneling was great (just forgot the name)! My favorite up to now has been Behr Cinnamon. You are spot on about knowing whether you want blue or yellow undertones. I used White Dove in my basement family room and quite honestly I don’t like the yellowy undertones. Getting ready to try Berhr Sweet Vanilla in the bathroom. It has grey undertones. The white I use is called Toasted Marshmallow. I chose the color because of the name. 🙂 It’s from Behr and I had it color matched at Lowes. This post was great timing. I just decided to paint over the blue in my bedroom and am thinking it’s going to be white. Thanks for the tips and samples! When I am done with their room, I will be painting the master bedroom and bathroom. In picture coloring is very nice.